Don’t know the guy, but he’s a local angling celeb now. Caught at 1pm during 100 degree weather last week. 32″ on a 5 wt fly rod. In its stomach they found a pigeon, part of a bike tire and the redevelopment plans for downtown Reno. Okay, I made up the last sentence, but the rest is true. 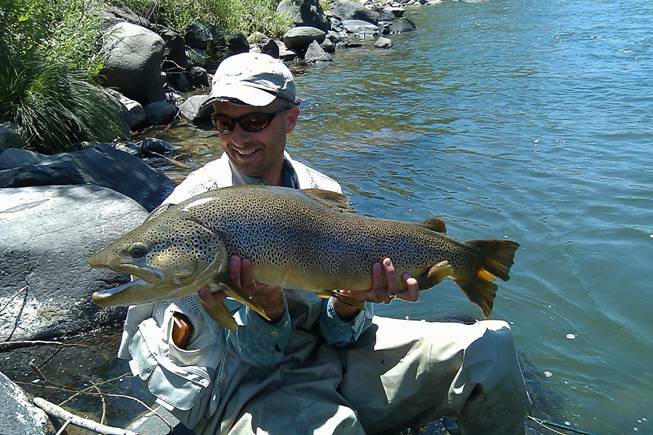 This entry was posted in brown trout, catch and release, fly fishing. Bookmark the permalink.